Mossy Oak Properties Colorado Mountain Realty — MOP of Colorado | Mountain Property Specialists offering Colorado Land, Hunting Land, Fishing & Recreational Land for sale and Colorado ranches, cabins and homes for sale. Find a property adjacent to government / BLM land for additional miles and miles of wilderness enjoyment! Whether it's elk, deer, turkey, or bear, you'll find it on the properties shown here. Your own Rocky Mountain Oasis. Large and Small - we have something for everyone. Find yours. Find the perfect spot to call your own. 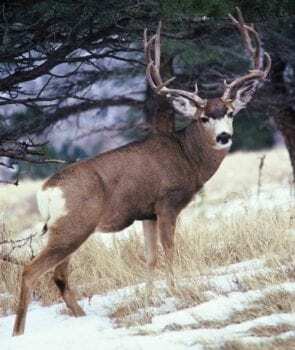 Searching for that perfect Colorado hunting tract, cabin or recreational property? At Colorado Mountain Realty we are privileged to be able to live, work and play in one of the most awe inspiring settings in the world – the Colorado Rockies. We are proud to have helped families fulfill their dreams of Colorado property ownership. For over 30 years we have taken great pride in successfully bringing buyers and sellers together for mountain ranches, Colorado acreage, homes, recreational, hunting, and fishing properties. We are the “Mountain Property Specialists” of Colorado Mountain Realty, Mossy Oak Properties.